A couple weeks ago on “Hollywood! Adapt This!,” we brought up the idea of adapting the Tyco animated series Dino-Riders as a live-action adaptation. This week, we’ll go from dino riding to dino hunting! 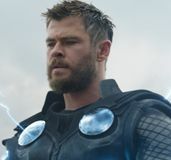 Believe it or not, this particular character has been around for almost sixty years in comic form, although he was introduced to a whole new generation with a line of video games spanning a number of systems. There have been six games released over 10 years, but it’s been almost five years since any whispers of a live-action movie adaptation. How has this property managed to escape the movie treatment? Find out after the jump. Hollywood! Adapt this: Turok: Dinosaur Hunter. In researching these articles, I’m always pleased to find out just how ignorant I am about the property in question. I was introduced to Turok via the 1997 video game for the Nintendo 64. 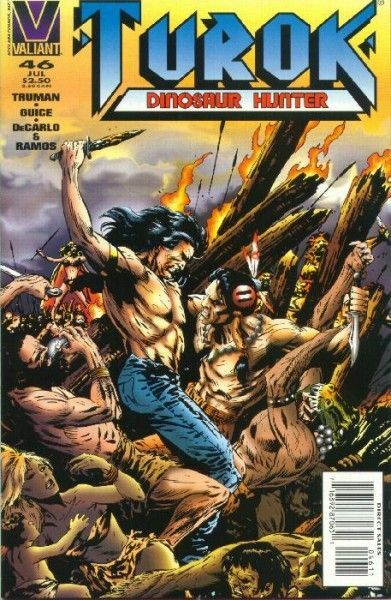 I was aware that Turok comics existed, but assumed that they were a result of the video game success rather the source for them. How wrong I was! Turok was introduced as a character in 1954’s Four Color Comics #596 before earning his own title, “Turok: Son of Stone.” Gold Key, Valiant and Dark Horse comics took turns publishing the character throughout the years. Originally named Mandan, he and his brother Andar (two Native Americans in the time before European conquest) happen to become trapped in a lost valley populated by ancient dinosaurs. When Valiant Comics took over, Turok and Andar became 18th century Native Americans and the Lost Land was re-imagined as a world outside of time populated by dinosaurs, demons and aliens. This is where things started to get a little crazy as a central villain, a psychotic being known as Mothergod, started outfitting dinosaurs with cybernetic enhancements to do her bidding. When Acclaim acquired the Turok comic property from Valiant, they added their own twist on the character. Rather than Turok as a name, it became a title passed from one hero to the next and carried the burden of protecting the barriers in place between worlds. Joshua Fireseed became the latest Turok and moves between worlds and times, defeating the villains who attempt to breach these barriers in order to conquer the multiverse. Dark Horse launched the most recent line of Turok comics, which is now licensed by DreamWorks Classics, but the line was cancelled. So is there any hope for an adaptation? How Could/Why Should It Be Adapted? I’m actually incredibly surprised that this property hasn’t been tapped for a live-action adaptation already. 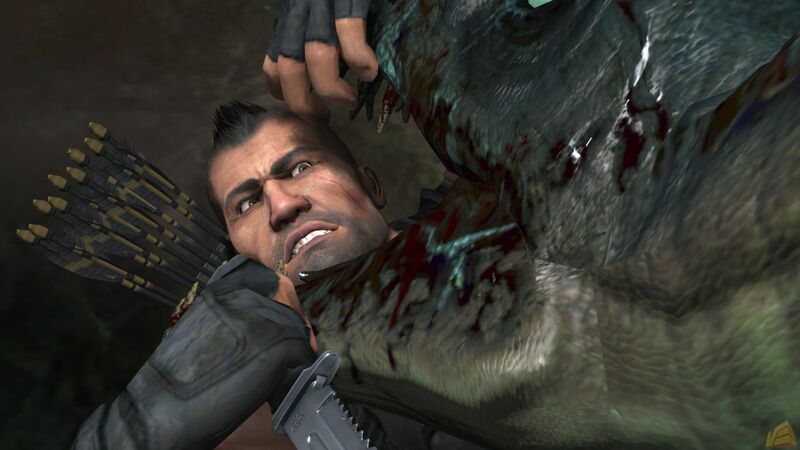 Granted, DreamWorks Classics did develop an animated movie in 2008’s Turok: Son of Stone. It featured Adam Beach (Flags of Our Fathers) voicing the main character; the actor was later rumored to star as Turok in a live-action picture, but it never panned out. Why? 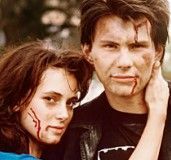 Perhaps because, despite his successful filmography, Beach wasn’t a household name who could generate enough interest to carry this feature. However, the story of Turok should have been sufficient enough to greenlight a live-action film long ago. The property has a great title hero who’s instantly relatable (and marketable) with plenty of freedom in the plot to allow for creative expression. The timelessness of the “Lost Valley/Lands” allows the movie to take place in any time the writer sees fit while allowing any manner of creatures to populate it. With the Dark Horse modification of making “Turok” a title rather than a name, this gives filmmakers license to pass the moniker on to successive stars over a number of pictures, ie a franchise built into the plot, a la James Bond. As far as introducing aliens and demons and cybernetic dinosaurs and time-jumping into the mix, I think it’s best to hold off on that, at least for the first installment. Personally, I’d love to see an old-fashioned survival story, something in the vein of The Grey or Predator, but with prehistoric dinosaurs rather than Arctic wolves and alien hunters. I’m envisioning Turok and Andar getting trapped in this hidden valley during a hunt and attempting to survive and fight their way out again. Perhaps Andar is lost along the way, leaving a grieving Turok to soldier on alone. At the climax, when Turok thinks he has found the way out of the valley, the scene could then reveal a timeless world full of alien menaces and other-worldly antagonists that will up the ante for a future installment. I’d love to see a Turok adaptation. I’d also love to see two Native Americans actors cast as the leads, but I don’t know any off the top of my head. (Anyone who says Johnny Depp can just get out.) It would be especially refreshing to see this property take off and become a successful franchise for said unnamed actors. More realistically, we’d probably see someone like Dwayne Johnson offered the role, which I’d be perfectly willing to accept. He’s been in a number of high profile action movies lately, but has yet to lead his own franchise. I’d say he’s overdue. 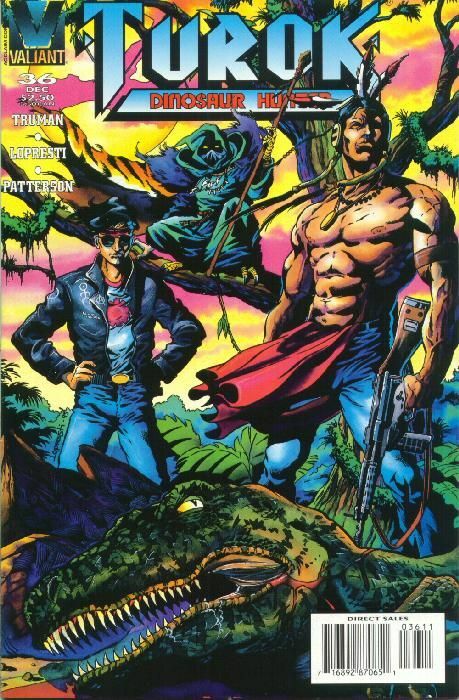 As long as Turok is portrayed as a strong character and capable hunter rather than a stereotypical Native American (even Depp’s pidgin English as Tonto in The Lone Ranger drives me crazy), I think the property could have legs as a new action franchise. Any fans out there of Turok, whether it be the comics, video games or both? Would you be interested in a live-action adaptation? If so, who should play the title warrior? Let us know in the comments below! Be sure to tune in next week when we visit another comic book hero who deserves to get his own spin-off adaptation. Even though he’s appeared on-screen once (in a terrible rendition of the character), I’d say the Ragin’ Cajun deserves another chance, n’est–ce pas? THE WALKING DEAD Episode Recap: "The Suicide King"